Norbord has teamed up with leading builders merchant, Jewson, to supply Caberdek P5 particleboard flooring to the regional housebuilder Croudace Homes. The supply deal means that the Norbord product is now installed in every Croudace home. 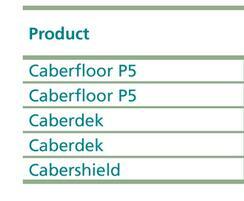 CaberDek P5 is a moisture-resistant tongue-and-groove chipboard flooring product featuring a waterproof protective film, which not only provides a safe working platform but keeps the floor in pristine condition during the ongoing build work. The film will even protect the board from prolonged exposure to the elements, allowing the floor to be laid before the roof is installed and speeding up construction times. 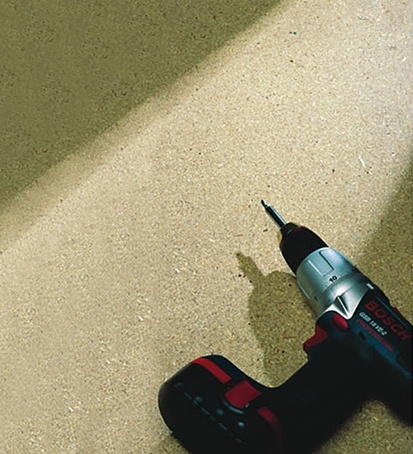 When the building is completed and following trades have finished their work, the film is simply peeled off to expose the clean, dry particleboard surface, ready for carpeting or other floor surfaces to be installed. Croudace materials manager Mark Smith estimates that Croudace currently requires around 10,000 floor panels per year. 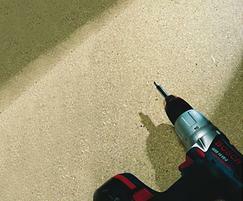 Most of the product is supplied from through Jewson depots. Any large orders can be delivered to site direct from Norbord's factory in Cowie, Scotland. Headquartered in Caterham, Surrey, Croudace operates throughout Southern England and currently has 15 active sites. Its developments range from two-bed starter homes to five-bed detached properties and incorporate both timber-frame and traditional masonry construction.